GIVEAWAY CLOSED: You might want to turn your volume up when we are in the car. 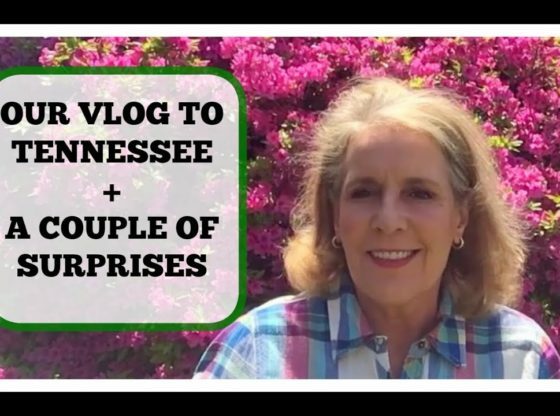 Today I will share with you our vlog to Tennessee. I think there will be a couple of surprises, and they sure are pretty!!. Note: Timeless allows only one discount code per order. I do not make any money, or receive anything if you use this code. Some of the links I provide, might generate income for me, (even if you buy something else from that site). Please shop around for the best deals possible. Thank you. Disclaimer: The information that is shared herein is intended for informational purposes. Any advice and/or product(s) mentioned should not be used to diagnose, treat, cure, or prevent any disease. Always consult your healthcare professional if you are currently taking medication, pregnant, trying to get pregnant, nursing, or if you have any other health condition before taking any products mentioned or applying any information contained herein. Please be advised. All products mentioned by me, I have purchased , or given to me as gifts by personal friends, and family. Any time I ever receive a product free, I will definitely mention it, and put an “*” in front of the time. I have never accepted money to do a video, nor have I accepted items, for a positive review.